Simple tattoos are a great way to get a beautiful inking without going beyond your budget. They have become extremely popular and many people are aspiring to get one inked on their bodies. Simple inkings that one can choose among are very cool and beautiful. It all depends on where they are drawn and applied. Most often, these are shapes or animals that are attractive to human eyes and are commonly known. Lets take a closer look at them. Heart symbol has been used many times to symbolize love. Actually, many people like to be associated with love. Having a tattoo of a heart drawn just above the chest and joined with a stripe going round the neck can make a good inking. 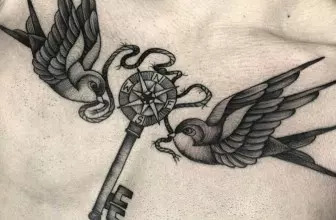 It will look like a necklace or chain round your neck This is normally a very cool tattoo and at the same time very simple to ink and probably will cost you little. 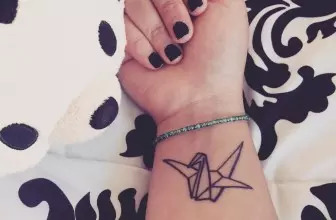 This is one of the simplest tats but it still looks beautiful when inked. It simply involves drawing a simple flower on the ring finger and then decorating it with a few colors. This tattoo makes one look like wearing a ring on the finger. It is also simple and less painful to ink but the result is always perfect and admirable. This involves inking the compass points on the middle finger, then labeling only the North pole with an N. A circle is then drawn on the circle with its radius shorter than the length of each cordinate. The circle is the marked with marks like a wall clock and an arrow from the South West to North East parts is drawn. This arrow acts like the direction pointer and at the same time like the hour and minute hand. This inking does not involve a lot of shading which makes it very simple to create. Though simple, it is very classy and cool and its worth having it on your finger. Every person has a number that he or she values. The number could have some deeper meaning to his life or could be symbolic. Instead of having the number as a tattoo in arabic, it is good to have it on both hands in roman. While drawing, you put the both hands together and the tattoo is created in a continuous line from one hand to the next. Therefore, for anyone to read the number in full, you must join the hands together. 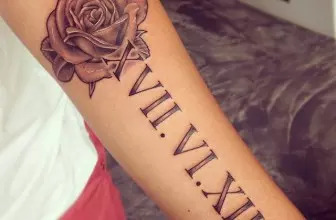 Inking roman numbers is very simple, this makes the tattoo simple but at the same time very attractive. This a shape that looks nice and its worth having as a tattoo on your hand. The two circles looks pretty while inked on one’s hand and they represent the word COOL. It is a very simple tat however it looks nice and cool just as the message it represents. What a cool tattoo! This involves inking a heart on the side of the middle finger. The heart should have a key hole like shape at the center. A key is drawn on the middle finger of someone’s partner. This symbolizes the partner has the key to the heart of his beloved one. This tattoo looks amazing especially when the two partners place their middle fingers together demonstrating a lot of creativity. This inking is very simple to make and worth having it. A diamond shape is always attractive and looks good. Despite its attractiveness, it is very easy to ink it. A diamond tattoo is created by drawing four diamonds on top of one another. The second diamond from top is the biggest of all, followed by the first diamond on top. The one at the bottom is the smallest. This achieves a classic shape, which looks especially cool when inked on someone’s back. 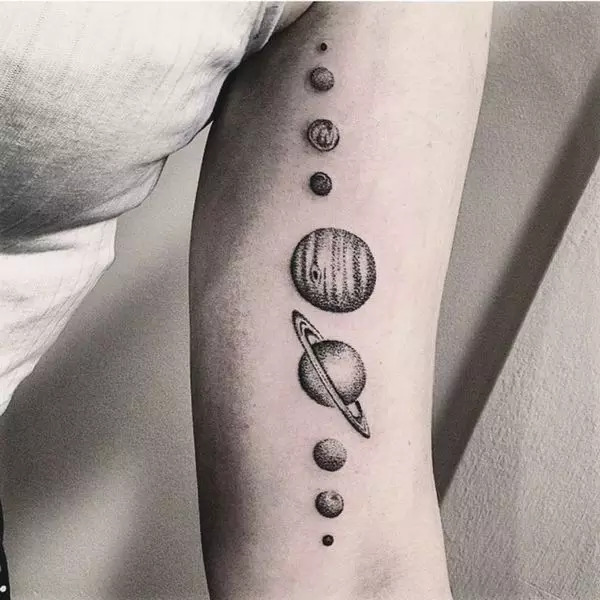 This makes it one of the coolest simple tattoos. Stars are loved for the sparkling nature. However the star shape is amazing in itself. A tattoo with a shape of a star is cool especially when drawn between the neck and the shoulders. This especially works great for ladies. It may look so simple but it is very good. 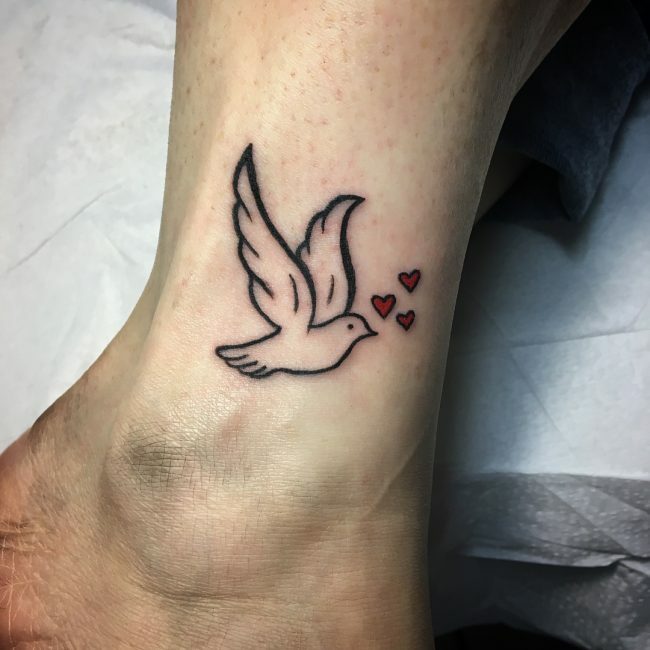 A dove is used to represent peace. For peace ambassadors, they can adopt this kind of a tattoo either on their backs or hands. It is created by drawing a dove with wings open holding a flower using its beak. It is a very cool tattoo and is not too complicated. There are people who would like to see a lip print on their bodies, which works especially well between two partners. This inking is easier to get than it might seem. Replicating the lips in atattoo will look good and at the same time simple to create. This a very tiny animal but really attractive for so many people. A bee tattoo will look especially eye-catching on one’s hand or neck. The tat is created using the shape of a bee, while the colors ca be chosen according to the person’s preferences. Again this tattoo works best for ladies. Planet Saturn is usually drawn as globe surrounded by a ring. This shape makes a good inking though simple when made on a persons palm. It involves less piercing of the body and it is very simple. The planet Saturn shape is very cool and always draws attaention. Calligraphy is a stylish way of writing a word. One can have a tattoo of a word, which could be his or her name, or partner’s name, or a name of something he or she likes. If the name is written in calligraphy and using several colors, the tattoo created is has great chances of being unique. Therefore, one does not have to go for the complex tattoos that could be very expensive. There are so many simple inkings as demonstrated above that one can choose and get within 15 minutes. What you need to do is to be creative and come up with a simple but meaningful image. 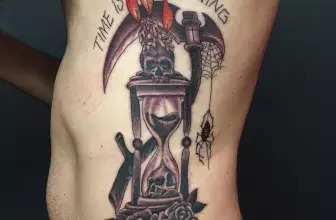 We are a team of enthusiasts and devoted tattoo lovers who wanted to bring all the beauty of inking art to artists and tattoo fans all over the world. Through the years, we have gathered so many pictures and stories that it became simply unreasonable to keep it all to ourselves. This is how Tattoo Journal appeared. 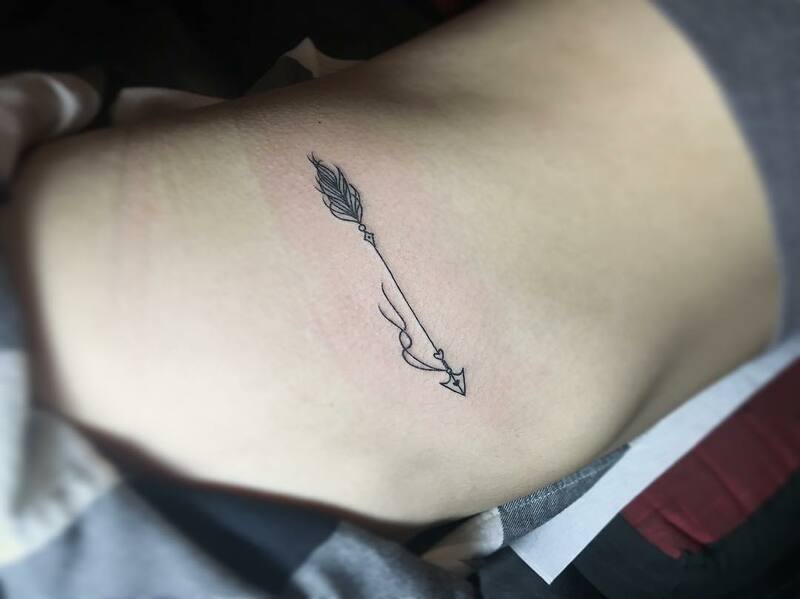 2016-2018 Tattoo-Journal.com – THE NEW WAY TO DESIGN YOUR BODY. All rights reserved.